"Videos in German! Videos in German!" Okay, okay, okay, I've heard you! :D I've received so many comments lately concerning the huge desire to get to see more videos in German on my channel. 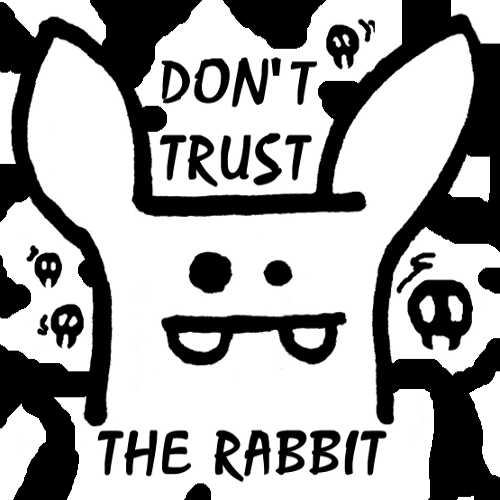 Since DTTR is an international community I will not entirely switch to German videos, most of my videos will still be in English, but I figured that it wouldn't harm to upload a German video from time to time - with English subtitles of course, because the last thing I want is to exclude rabbits from my content. So stay tuned this upcoming Sunday, there will be a video in German on the channel: "10 Fakten über mich" - 10 facts about me. I'll also tell you more about my future plans and explain some things concerning the "Why not more videos in German?!" issue. Hope to see you on Sunday! Trixi here and welcome to my first very own website. Well, it's "only" a blog, but since I don't have enough time to use my lousy HTML programming skills creating a page myself this has to do for now! On this page I'll keep you upated with all the news concerning my channel, my social media accounts and future projects. You can find out more about me, comment on my posts, write me an email, support me by sharing my content or even by becoming a patron. Thank you a lot for your positive and encouraging feedback, you lovely messages and constructive criticism! Let's make the rabbit family grow uniting people from all over the world!